One of the many packages from York that I have received over the years. I think back in 2002 I took a continuing education course at York University, a course on EQ so that I could be a better leader, better teammate. It was a great course. 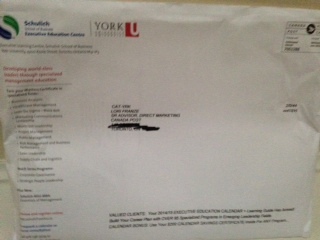 After it concluded I was entered in to the database and started to receive mail from York University. Great. I read a few course catalogues but wasn’t in the market for another course and actually haven’t been for over a decade – at least a course from York but these big packages keep coming! And sometimes 2 a week or even in the same day. They immediately go in to the recycling bin, unopened. Lets do some math. I am going to assume that a package like this is costing $4.00 including postage. If I get one a month that is $48.00 and over 12 years that is $576 for a former student who has done nothing in 12 years! Now let’s say there are a 100 just like me. That is now a whopping $57,600! So what could they do about this situation? Start segmenting! Look at recency and frequency and draw a line in the sand on how long is too long. I can tell you that over a decade is too long! Convert people to email. It is far less expensive (yes, I know there is a cost to create the email and there are servers to run but it really is cheaper to send me an email than a package) to send and it can link to all the same information that you think I need. Keep your data clean. There are many tools available with Canada Post and other providers that can check the accuracy of your address file. Do you know any companies or institutions throwing away money with their direct mail? 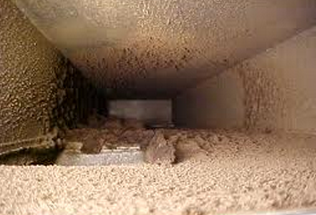 My ducts looked like this! someone in the Leslieville Group on Facebook I went on to Groupon and found a deal, did some research on the company and bought myself a deal for Duct Cleaning Depot. I set up my appointment over email with Adrian for a Friday afternoon at 2:30pm. I can work from home so it wasn’t too big of a deal to have the appointment in the middle of the day. What became a bigger deal was when I got a call and an email to tell me that they were going to be about an hour late. That happens, totally understand. But then an hour turned to 90 minutes and I made a phone call to the technician who had called me. At 4:30 he told me he was at the 407 and 404. Being that I work with a client up in Thornhill and that is my travel route home I knew he’d barely make it for 5pm, 2.5 hours after my appointment time! Those who know me well know that I am crazy about punctuality since time is someone’s most valuable commodity so I got frustrated and emailed and called Adrian he owner and gave him a piece of my mind. He offered to do the work at no charge (ok, I might have demanded it but he agreed) if I would reschedule. So we made a date for Wednesday. Now I hope you’ve made it this far in the post cause this is where the lesson comes in and things turn around for me and my ducts. Adrian and his technician showed up on time and did a fantastic job. When it came down talking about the monies I decided that I wasn’t going to take the work for free. Adrian paid the taxes that was owed on top of my Groupon and we called it day. Before he left we got to talking and his technician was joking around that Adrian doesn’t usually come out to jobs and how shocked he was to see the boss hauling equipment from the truck. He wondered who I was. Adrian explained that he wants all his customers to be happy and was embarrassed about the situation from the previous week. He said he couldn’t not come and make sure I was satisfied. What a great attitude from a small business owner! I will recommend him to anyone I know with dirty ducts. Now on the contrary I have had painters not show up for 3 appointments and had the Appliance Repair Guys allow me to cancel an appointment without a charge in a snowstorm to then send me an invoice (so they say) that I didn’t get for the missed appointment. How did I find out? Well I got a notice from a collections agency for $95.40. Did I mention it cost $315 to repair my microwave and I had already paid that charge? So on the other side of the customer service spectrum I will NEVER use them and will tell everyone I know the story. (I had to pay the extra charge, they did not care to hear my side of the story or that they were loosing a customer). If you want to read more about customer service and how it affects a business, with some great stats check out Colin Shaw’s post on Linked In – 15 Statistics That Should Have Changed the Business World – But Haven’t. The Interview Process: An overlooked opportunity to create a great brand experience! I have gone on a lot of interviews in the 10+ years I have been in the workforce so this post has been a decade in the making! As a candidate I think you will agree that while you are looking for a new role there is some sacrifice in your time to interview and also prepare for that interview. Additionally, the company looking to hire has a position to fill that makes the process mutually beneficial. Now with both parties in this processes looking to gain and making the sacrifice of time why do so many individuals (on both sides) fail to follow-up with a thank-you note and update? While this post is not focused on the candidate I will provide the recommendation that if you interview with a company and A) want the role; B) don’t want to come off as rude, send a thank you email at a minimum. A hand written note will really WOW them! Back to the hiring organization… I am running out of fingers counting how many times I myself (or having heard the same story from friends) have spent 2+ hours meeting people in companies (in addition to the time I took researching), sharing my experience with them only to get no follow up to my emails or voicemails. Now I am not looking for a pat on the back or a ticker-tape parade but just a simple reply to my note that says that it was nice to meet me and thanks me for my time. I likely had to re-arrange my schedule and/ or take some time off … I just want the acknowledgement in a simple ‘thanks’. The absence of a reply does impact the way I see a brand. As a consumer I might not purchase your product next time I am perusing the shelves and as a marketer I might be in the position some day to hire your company. Not to say I will hold a grudge but I am sure I will remember the time when I sent a thank you note for your time or called to follow up on how I did and what the next steps may be and got nothing but silence. My experience over the years has made me extra sensitive to when I myself have been recruiting or when someone asks me for a little bit of help… hopefully not too sensitive… What do you think? Brainrider moves in to the Chelsea Shop! 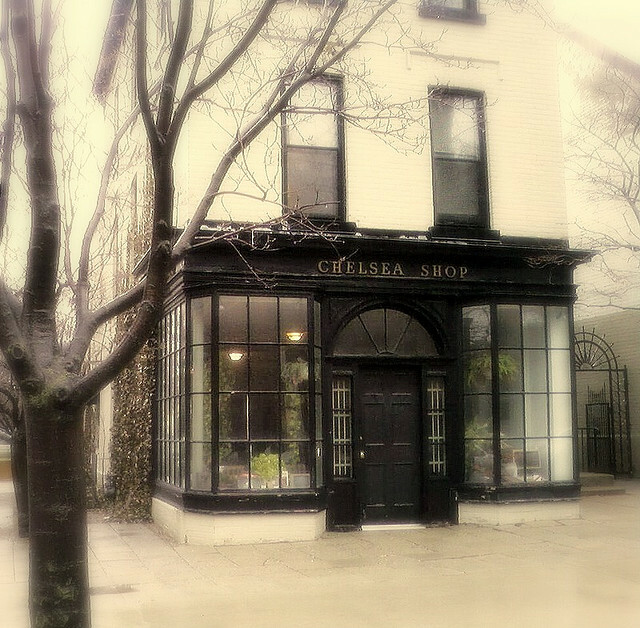 This past week Brainrider (where I am an Operating Partner) moved in to the Chelsea Shop on Huron Street. I have always loved this building back from when I was an undergraduate student at U of T and love that this is where I will be going to work when I am not at the home office. The Brainrider team moved in February 1st and hosted two events in the space after a lot of work by the entire team to get it ready (there was actually a table saw in the middle of the floor when I arrived on Tuesday morning!) 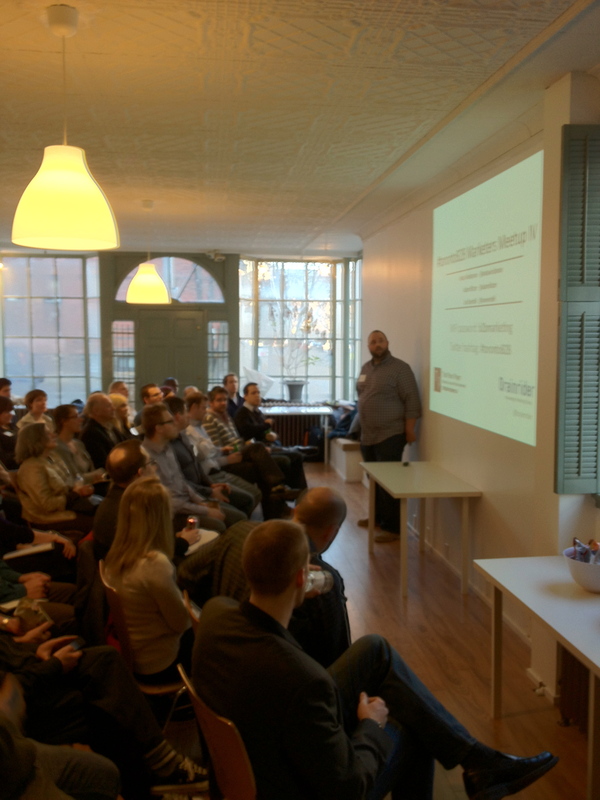 There was the b2b Marketers meet-up that happens every 6-8 weeks (Click here to join the Linked In group, so you can know when the next one is) and the inaugural Toronto User Group for one of our partners Pardot. The list could likely go on and on since I think the building is almost 200 years old! One thing is wasn’t able to find was the history of what the Shop first was! If you know please share as I am curious what happened in the building in the early 1900s.